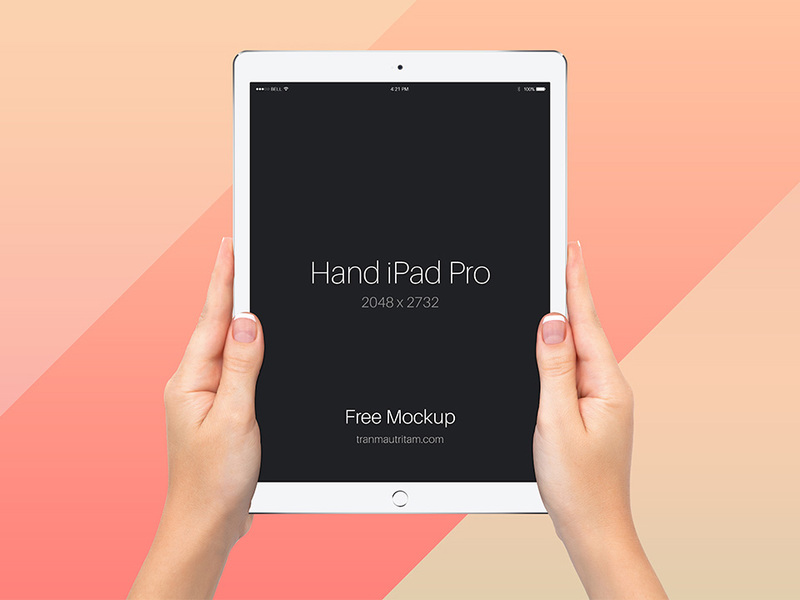 Download Free Female Hand holding iPad Pro Mockup. Showcase your designs clean environment. Smart Object layered to allow you to replace the screen with your own image. Nice work done by Tran Mau Tri Tam.